“It’s happening. Two-hour finale episode. Tell your cluster.” No, really. 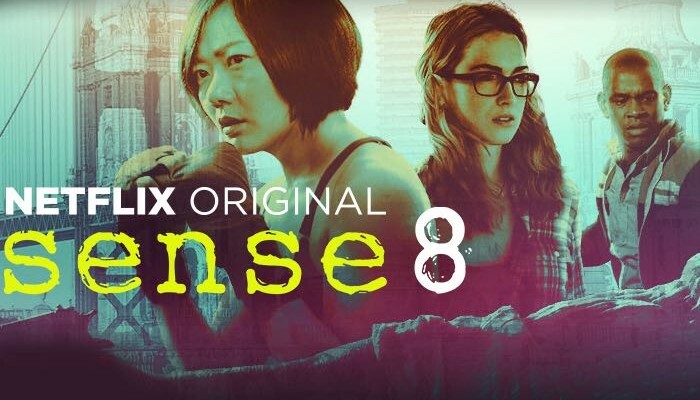 Almost a month on from Netflix’s disheartening decision to pull the plug after just two seasons – two engrossing, downright riveting seasons, we might add – the online streamer has confirmed plans to stage a special two-hour finale for Sense8, the genre oddity from the minds of J. Michael Straczynski, and Lana and Lilly Wachowski. Word comes by way of the Sense8 Twitter feed, which posted a video featuring all of the show’s many power players (read: sensates) coming together to belt out “What’s Up” by 4 Non Blondes. It is my great pleasure as well as Netflix’s (believe me, they love the show as much as we do but the numbers have always been challenging) to announce that there will be another two-hour special released next year. After that…if this experience has taught me anything, you NEVER know. Soon after news of the show’s cancellation broke, Sense8‘s impassioned fanbase cobbled together a petition as a last-ditch attempt to save the sci-fi series from the brink. Ultimately, that petition came up naught – but the fan feedback hasn’t exactly fallen on deaf ears. As Lana Wachowski alludes to in the official statement below, less-than-stellar viewing figures brought about the show’s early demise, and considering that each episode reportedly cost upwards of $9 million a pop – thereby making it one of the most expensive series in television – it could be argued that it was always fighting a losing battle. Further details on Sense8‘s grand, two-hour finale will likely be shared before the year’s end. Until that time comes, however, you can give us your knee-jerk reaction to today’s announcement in the comments section.